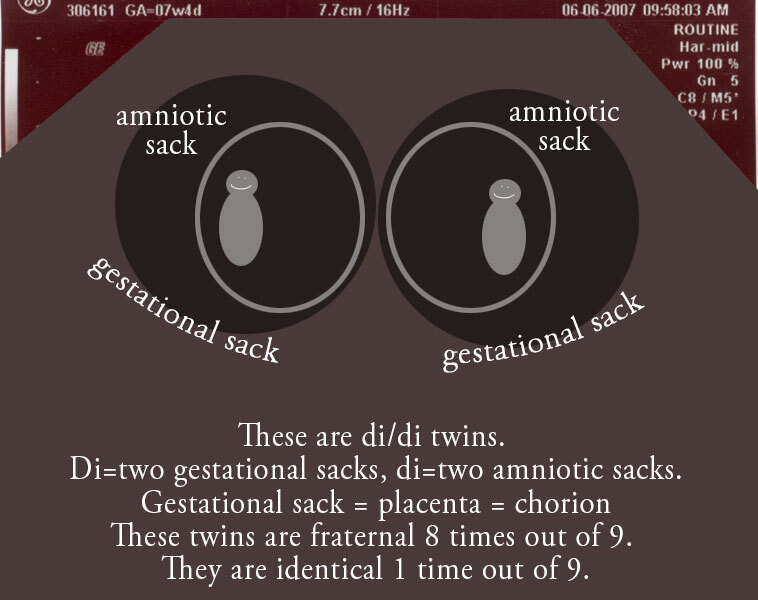 These diagrams illustrate how the different kinds of twinning can look on an early ultrasound. I’am from the Netherlands and I have di/tri 3. Years old. They born on 4 December 2012! You’re boys to! I like you’re story and i’am a follower from the other side of the world. Thanks Patricia! I love that we both have Dec 4 boys! 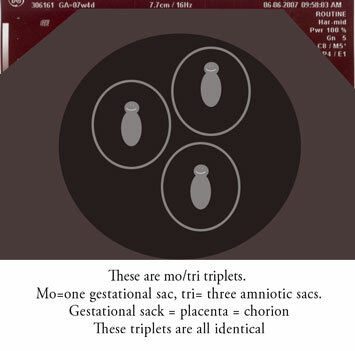 we had mono chorionic and mono amniotic triplets. now they are 9 years’ old. all of them are girls. Hi — great blog! 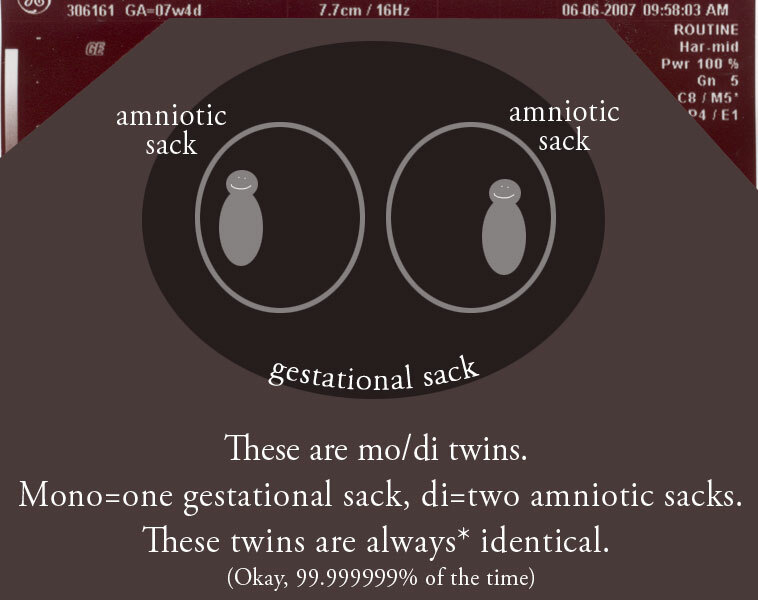 I’m 3 months with mono/di twins and my OB said I should look for multiples-blogs and I came across yours. Your boys are so sweet! 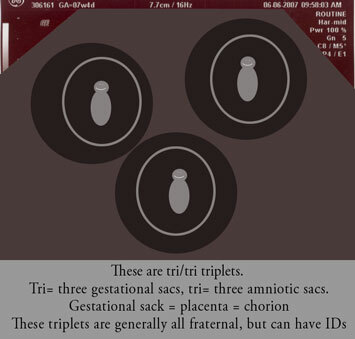 We found out 1wk ago at 17weeks that we’re having triplet boys! I have my anatomy scan Tomorrow so I am hoping to know more then. 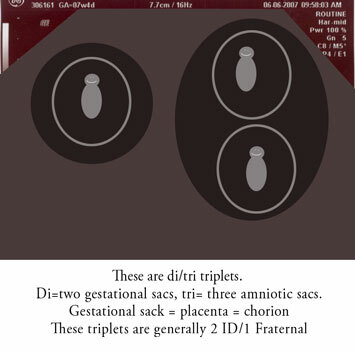 I think they all have their own placentas and sacs. Congratulations! 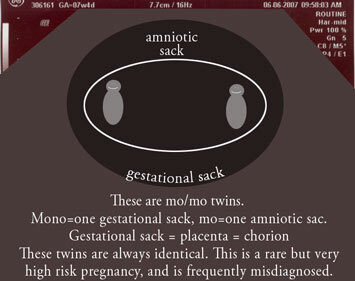 I hope you do find out they have their own placentas, that will be less worry for you. 🙂 BBB is the best!